White. The eternal symbol of neutrality, plainness, scantness. The very colour of ice and equanimity, the very epitome of beauty, divinity and perfection. History has it that in ancient Egypt, priestesses wore white as a symbol of purity and chastity, steadily proclaiming the quintessence of white as the colour of peace, and the supreme being; the Romans wore a white toga as a symbol of citizenship. White, the undying, all-encompassing archetype of the beginning, the new. White light, when passed through a triangular prism, gives seven different colours. This phenomenon, called dispersion, was first discovered by Issac Newton in 1666. Of that band of seven colours is red, occupying the topmost position - a radical display of brightness, overshadowing its rather paler, haggard counterparts. The colour of blood, the colour of sacrifice and valour, the colour of courage. Red contrasts itself with white; one is the giver of hope, the other its destroyer. If white is the Yin, red is the Yang. Cricket, however, has this uncanny ability to take up two apparently unconnected objects, or ideas, and coalesce them into a sweeter third, seemingly unlike the first or the second, but intricately possessing the virtues of both. Take the example of Jasprit Jasbirsingh Bumrah. He hails from a traditional Punjabi family, but was born and brought up amongst the hustle and bustle of Ahmedabad. The steely resolve of the prototypical Punjabi resides in him, but so does the humility and grace of the Gujarati. And unsurprisingly, he plays for Mumbai Indians in the Indian Premier League. His slower ball yorker length delivery to Shaun Marsh in December last year was a thing of beauty. Not only was the fact that he'd produced a velocity difference of 34.03 kmph with his previous delivery, but the icing on the cake was how that ball had dipped, swung back in, and sent the batsman into a labyrinth of confusion, from where the only anodyne for the older Marsh was the sheer brilliance of the pacer. That ball, was a gem of a delivery. He was incidentally defying the laws of projectile motion. When the only forces acting on the projectile, or in this case the cricket ball, are the muscular forces of the bowler and the force of gravity, the ball takes a parabolic path. However, such norms don't apply to India's premier pacer; he is a maverick, a self-made individual, an iconoclastic freak who makes his own rules, and despite all the apparent rebelliousness, never talks the talk before walking the talk. OUTFOXED: That eventful over at Melbourne culminated in a screamer of a slower ball to get rid of the older Marsh. Bumrah celebrates the wicket here. The slower ball dipping yorker was associated with only ever one man - Lasith Malinga. You could say Lasith Malinga was bowling by just looking at the seam presentation of the ball; the seam of his ball was always pointed towards fine leg rather than leg slip, enabling him to swing the ball downwards rather than inwards, creating the morbid dip and tail that made his yorkers incredulously deadly. 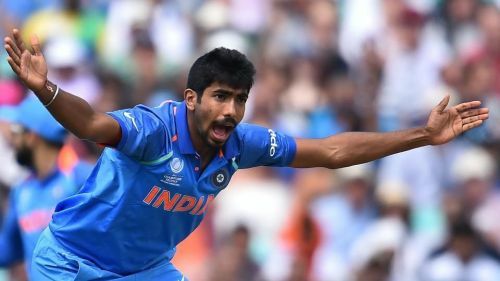 It comes across as no surprise, hence, that Malinga was Jasprit Bumrah's idol growing up - another example of how the IPL acquaints raw talent with cricketing demigods to produce balls like that Marsh delivery. 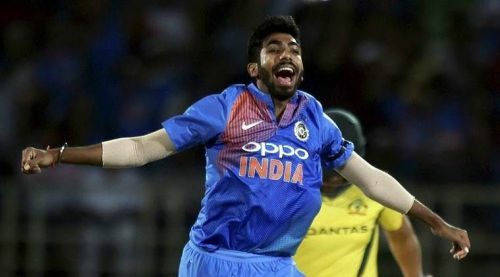 Virat Kohli, the Indian captain, whose joy knows no bounds after having beaten Australia in their own backyard, is over the moon about his prodigious fast bowler: "The credit goes to our fast bowlers, especially Bumrah, he has been brilliant for us. ", says Virat at the post-match presentation. He was unlucky not to get wickets in Perth. The way he bowled, it was almost criminal that he didn't reap the rewards. The team management calmed him down and wickets for him came in bunches in this Test and he won us the Test match here at the MCG." If it had been a soccer match, it was Argentina versus Brazil. Had it had been a game of basketball, it was the LA Lakers versus the Celtics. India versus Australia, it doesn't get bigger than this these days. 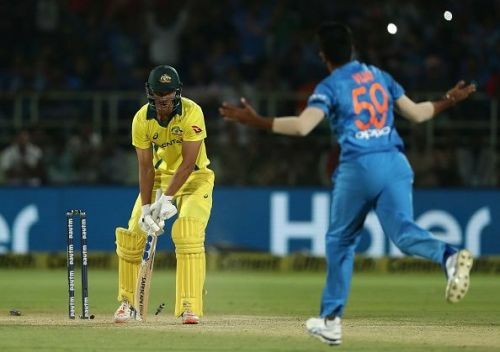 The stage was set for a grand finish, and it wasn't as simple, as just being Bumrah's day. If it was so, then every single day of the last one and a half years has been his. This was a genius at his work, a poet with the reverse-swinging red ball, showing the world what hard labour and professionalism could do, all of it kick-started by that fatal Shaun Marsh delivery. Bumrah goes on to pick 9/86 which, as it happens, is the record for the best figures by an Indian bowler Down Under. CricViz senior analyst Ben Jones writes: "Given the moment, given the match, given the series, this was one of the great overs." The butterfly effect, small things leading to big. The first ever one-day international was played between England and Australia in 1971 at the MCG, 94 years after the arrival of Test cricket at the same venue. Much like how red light becomes white combining with six other colours, the red, cherry-like ball of our game was changing colours into white, induced by floodlit stadiums, coloured clothing, and a multitude of other colours. It was the opposite of dispersion, recombination, caused by the inverted prism dubbed "Packer's Circus", that despite the malediction, was drawing crowds into the stands. ODI cricket had arrived. Over the years, the world has witnessed the Warnes, whose numbers are mind-boggling in the purest form of the game, but tapering in its progeny; and the Malingas and the Narines, whose white ball exploits are unparalleled, but red ball prowess such a shame. And then there is the cricketing nation of India, which has had the Tendulkars and the Dravids, but whose finest fast bowler Zaheer Khan, has had a Test bowling average of nearly 33. Meanwhile, a champion fast bowler was being made in the maidaans of Ahmedabad. His parents rue his hyperextended right arm, but little do they know of how it generates searing pace, so much pace that his friends dread facing him and have to constantly remind him to shorten his run-up. Every time a team is picked for a game of gully cricket, Bumrah, or Jassi as he is fondly called, is the first pick - and once he is picked, nobody from the opponents' team wants to be the opener. Back home, Bumrah's hands are always on the yellow, depleting material of the tennis cricket ball. His tosses it up and down, dribbling the ball on the hard, ageing tiles of the cemented floor. "Jassi," comes the call and Bumrah knows what it is for. His mother doesn't like the sound of the cricket ball when she's trying to gather some sleep, but Bumrah is clever enough. He throws the ball onto the base of the adjoining wall, as long as it starts to get boring, mastering the art of bowling the cricket ball at the base of the stumps, or what the pitch map refers to as the yorker length delivery. On Sunday, in the first T20I against Australia, his skills were well and truly on show. With 16 to defend off the last two overs, Virat Kohli hurls the ball to his best death bowler. Jasprit Bumrah is in the house, nobody moves for the next six balls. And boy, doesn't he come up a beauty of an over? You bet. Sluggish wicket, back of a length, is the thought process in his head. No fanciness, just execution of plans. Virat Kohli is here. A seasoned captain with the experience of over 300 internationals. Rohit Sharma is here. His captain at the Mumbai Indians, his vice-captain here. MS Dhoni is here. The field is being set; they don't want to get anything wrong. 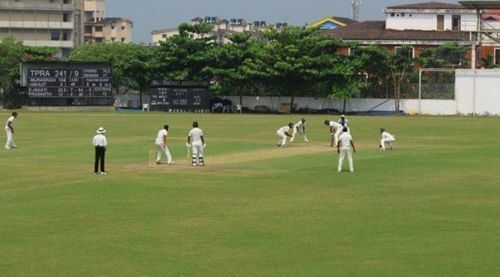 After Kohli moves to his position at long-off, Bumrah touches the ball. And looks towards the skies. The first ball is a short one that doesn't bounce. Peter Handscomb has committed himself to the pull shot too early; he swings and misses. 16 off 11, piece of cake. The second ball he hurries down the pitch; Bumrah sees him coming and shortens his length. Handscomb gets some bat on ball for a single. 15 off 10. By the time the fourth ball is bowled, Bumrah has found his zone, hitting that hard, nagging length. There is no room to play with and the equation has come down to 14 off 8. Handscomb has to do something. He slashes at the ball, it's a hard wild swipe - but all he gets is a top edge that MS Dhoni pouches with ease. Equation: 14 from 7. This ball can't go for a boundary. This ball can't undo all the hard work. The last ball is a Bumrah special. The inswinging yorker at 142.7 kmph that dips and curves and takes the leg-stump away. Bumrah raises his hands in celebration. Nathan Coulter-Nile is awestruck. Many years later, when we think of this T20I game at Vizag, we would not remember it for the spongy pitch or an Indian collapse or a Coulter-Nile magnum opus. We would remember it for a heroic, incredible penultimate over from arguably India's already-greatest ever death bowler, Jasprit Bumrah. How he identified the short-of-a-good-length zone as the batsman's coffin on that pitch, and how he kept the yorker for the less fancied batsman of the two, is one for the ages. It is an ode to his supreme presence of mind, his unfazed levels of concentration even at the precipice of all pressure, his street-smart, thinking cerebrum. Bumrah oozes the old-school, Indian middle-class virtues of being quiet and humble. There is no bluster, no chainsaw, no bomb explosion. It is just a twenty-five year old, at the peak of his prowess, bowling his heart on a pitch where his batsmen have let him down, and the most experienced active player on the planet has played a 37-ball-29. And that, without his partner-in-crime Bhuvneshwar Kumar. And so he walks back to the pavilion, after a Pat Cummins boundary has sealed the deal for Australia, this time let down by his compatriot Umesh Yadav. No grumpiness, no grouchiness; it's Jasprit Bumrah the way we know him. And so he walks back to the pavilion, locks himself up in a room, and stays there for as long as possible. It was during the home series against Sri Lanka in late 2017 that Bumrah came to know that he was getting picked for the South Africa tour. 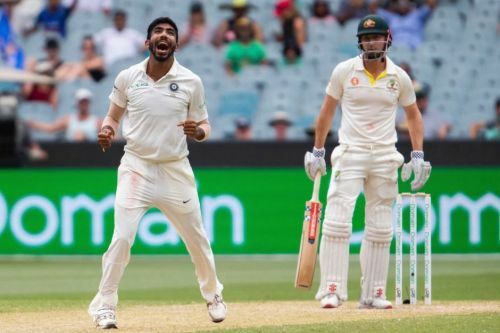 Bumrah's inclusion in the Test side came as a surprise to many, including Michael Holding, who went on to say that he wouldn't be successful across formats. In Ravi Shastri's own words, "He didn't surprise us, only the media. Back in October 2017, I had a chat with MSK Prasad. I told him this is the guy and Prasad was on our page. I said we would not unleash him in India but in the first Test in South Africa. So people thought he played in Cape Town because Ishant got injured but that's not the case. He was the first name on the list. "And it's just his belief. More than anything it is the desire he had as an individual to play Test cricket. ", says Shastri. "He wanted to play Test cricket more than any other format of the game. Go and ask him. For him, Test cricket was a dream, and he would talk like 'I have to play this'. We told him in November 2017 in NCA that 'you are going to be picked (for Tests in South Africa), so now work harder'. And the way he spoke to Bharat Arun, he said, 'it is a dream come true, never thought and all that, I lived for this, and I will give everything for it'. Arun said 'you are there and now bloody work your socks off'." Shastri wouldn't mind it even if his socks were stinking by now. After all, they have unearthed a superman cricketer who cannot leave his hotel room if he has had a bad game on tour - things like not having a full meal at the buffet, or not having a dip in the hotel pool if he has gone for 70 off his ten overs. Jasprit Bumrah is just programmed differently. And come the next day, he is back to his best. The yorker is back, the inswinger is back, the reverse with the older ball, the venom in the bouncer. It is almost as if he has hit a 'pause' button and clicked on 'restart'. You see the batsman ducking, the umpteen plays-and-misses, the sound of the ball thudding onto the wicket-keeper's gloves, the oohs and the aahs, and broken middle-stumps that haven't even the energy to ask its murderer for its last wish. It is almost as if Jasprit Bumrah has been resurrected. CricBuzz's live show presenter Gaurav Kapoor sums it up best: "Jasprit Bumrah is gold." The thing about him, is that he is a lone-ranger. He doesn't need that arm around his shoulder when things are not going his way; he doesn't need that reassuring blanket of confidence and trust after a bad day. All the things he does, he does them alone, be it at the pitch, at the nets, or at the gym. There is never a need to play the martinet, play the pedagogue with Jassi. You go to an optional practice session of the Indian team to plead for a selfie or two, there are always two constants - one, the Indian skipper Virat Kohli, and two, Jasprit Bumrah. He is the first to arrive and the last to leave. And that's why, on the cricket field, the first batsman to arrive from the opponents' team, is also the first to leave. The endless hours of practice, aiming at the SG Shield cricket shoe kept at the base of the sticks, directly translates into numbers. How many bowlers, over the 142-year old history of Test cricket, in the first year of their Test careers, have shattered so many records, including that of the great Kapil Dev by recording the best figures by an Indian in Australia? How many bowlers have been part of 4 overseas Test wins in a calendar year, and have taken 6 or more wickets in each of those matches? How many bowlers have picked up 5-wicket hauls in three different countries in their first year of international cricket, and all of them, outside home? In fact, only two other pacers have scalped more wickets than Bumrah (48) in their debut year of Test cricket - West Indian great Curtley Ambrose (49) and Australian swing king Terry Alderman (54). 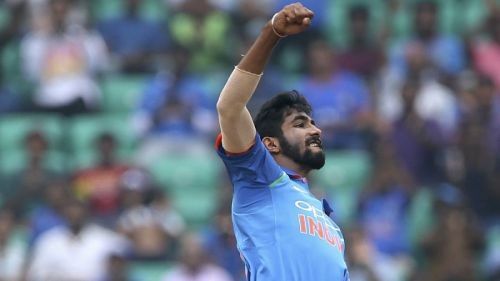 The best thing for Jasprit Bumrah, and Indian cricket, at this point in time, would be to let him be. Very often in sport, as in the IT industry, there is the saddening case of over-managing a successful player, or a successful product, which, as history has shown us, can be self-defamatory. Irfan Pathan, once lauded to be the next Kapil Dev, lost his swing and pace when he was asked by his coach Greg Chappell to shorten his run-up. John Buchanan, the former KKR coach, with his multiple-captain theory and baseball-like micromanaging, ensured that KKR finished with the wooden spoon in 2009. Bumrah's sling-arm action, is probably as weird as a hairless cat trying to bark. His eight-step run-up, as Aussie commentator Kerry O'Keefe said on air at Melbourne, was only ten inches longer than Nathan Lyon's. And funnily, the first four steps make up more of a jog. Easily, if you're a cricket coach, that is the first action you would want to correct. 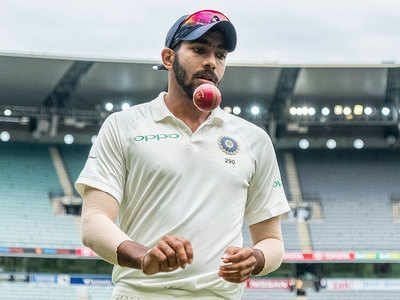 However, as Ravi Shastri pointed out, Jasprit Bumrah defies biomechanics. Jasprit Bumrah, the freak, the iconoclast. 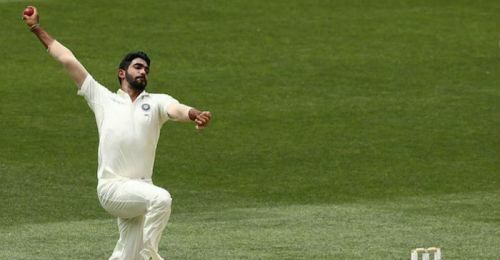 In the last Test in Australia at the Sydney Cricket Ground, Bumrah hit 153.76 clicks on the speed gun, 8 kmph faster than anybody else, against a team that comprises the likes of Mitchell Starc and Pat Cummins. Never did anyone attempt to tinker with his action, a discovery as revolutionary as Newton's discovery of dispersion. He is well on his course towards being a great of the game. He has all the ingredients necessary to be a virtuoso with the cricket ball, and he is only certain to get better. Years down the lane, if we see him on the top of India's most valuable fast bowlers, we should not be surprised; maybe back then, we would call him the Tendulkar of India's bowling. That is so largely a dream as of now, a dream we all wish would come true. And why not, just like Tendulkar, he smiles at every misfield, every dropped catch, and keeps modesty on the tip of his tongue to say he is far from being the best bowler in the world. Jasprit Bumrah is one of a kind. The kind that is made for greatness.